Motolite, one of the largest manufacturers, exporters, and distributors of automotive, motorcycle and industrial car batteries in the Asia Pacific Region; has just recently launched its newest app called RES-Q. RES-Q app is the improved version of Express Hatid, which is an online assistance for battery delivery thru phone. 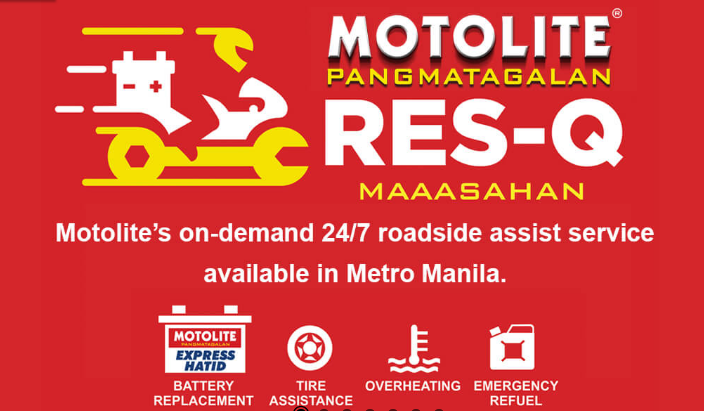 This roadside assist service is currently available in Metro Manila, 24/7 and can be downloaded from the Playstore or the App Store. 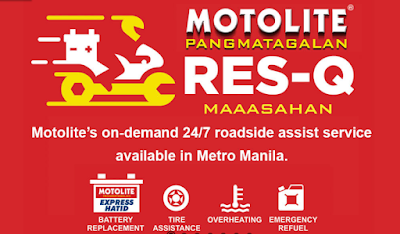 With Motolite RES-Q App, motorists can likewise experience that same support not only when it comes to car battery failures but also when they need help with a flat tire, overheating, or even emergency refueling. The app is easy to navigate and with just a few clicks, help is on the way. It also allows you to see the profile of the RES-Q riders coming to you, track exactly where they are in re, and they can pay either by cash or by credit card.al-time, and rate them for the services rendered. The RES-Q service will be free of charge if you have a Motolite battery installed in your vehicle. Motorists will only need to pay for the new battery or in certain cases, coolant or fuel. Along with Motolite's vision of helping motorists is their vision of helping the Philippine sports, too. During the media launch of the RES-Q App, they have also introduced their partnership with the Ateneo Lady Eagles Volleyball Team. It has been well-documented that Motolite has been a staunch backer of motorsports, billiards, basketball, and of course boxing. During the interview with the volleyball team and their coach, the Ateneo Lady Eagles revealed some of their routines and practices to make sure of a smooth game in the court. The good looking girls were also asked; given the chance to enter showbiz and pageants just like Gretchen Ho and Michelle Gumabao will they grab it - and they answered no for now because their focus is on their game and their sport is their passion. This launching is a proof that the Philippine's undisputed leader in automotive, motorcycle and industrial batteries has every Filipino's good at the heart of Motolite's branding.